ebelgum I'm going to the bathroom now. 9 years 4 months ago. ebelgum I'm going to the bathroom. ebelgum I got distracted and didn't actually go to the bathroom. I'm going to go now. ebelgum I have to go to the bathroom again. ebelgum I'm going to go to the bathroom. We all have events in our life that we spend years trying to get away from, only to look over our shoulder to see them trailing closely behind. Set in the spiraling structure of the parking ramp, Strange Neonatal Cry tells this kind of story: a woman witnesses the assault of a parking ramp attendant and becomes obsessed with the surrounding events. The spirally structured parking ramps of late 20th century life create a very dreamlike environment, yet at the same time we know that world intimately: a world in which up is also simultaneously under and over, and forward becomes backward and then quickly forward again as we move back up ahead. The spoken text is bound to the supporting world of sound through the use of instruments that spin, including hurdy-gurdy, sirens, Hammond B3 with Leslie speaker, Bullroar, and Shepard tones. About Erik Belgum Belgum's "ambient fictions" have aired throughout the United States, Canada, Europe and Australia. In addition to his novel Star Fiction, he has published fiction in dozens of literary journals and websites. The Dictionary of the Avant-Gardes called him, "Among the best of the younger writers of fiction, let alone experimental fiction." 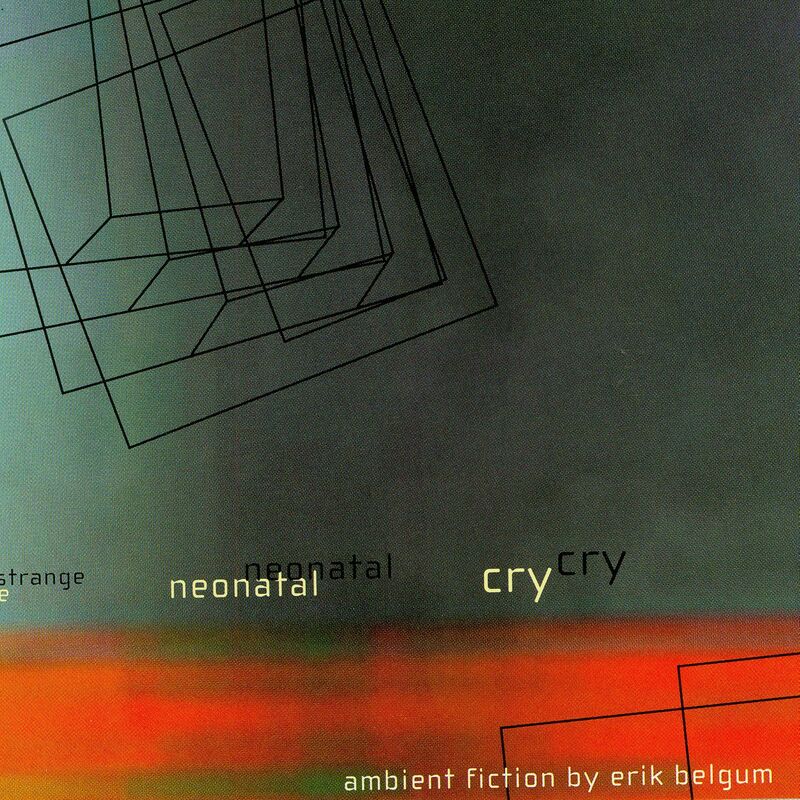 Strange Neonatal Cry is the second innova release of Belgum's "Ambient Fiction." About "Ambient Fiction" I've always been impressed by the way the sound of a quiet AM radio can change the ambience of a room or a car. It almost imposes evening or darkness on an otherwise well-lit situation. Or the ambient sound of a person talking in the next room. So in this sense the fiction here isn't ambient, but the ambience is a fiction. However, I also like fiction that is ambient. Literature you can wander into and out of without losing your sense of purpose or general focus -- like the music of LaMonte Young or Alvin Lucier or the writing of Stein or Beckett.